At St Anne's College, University of Oxford, 29th of November to 1st of December 2018. The workshop will focus on Rough Path Analysis and its rapidly growing applications in Applied Stochastic Analysis, ranging from the resolution of ill-posed stochastic partial differential equations to new ways of handling high dimensional data. 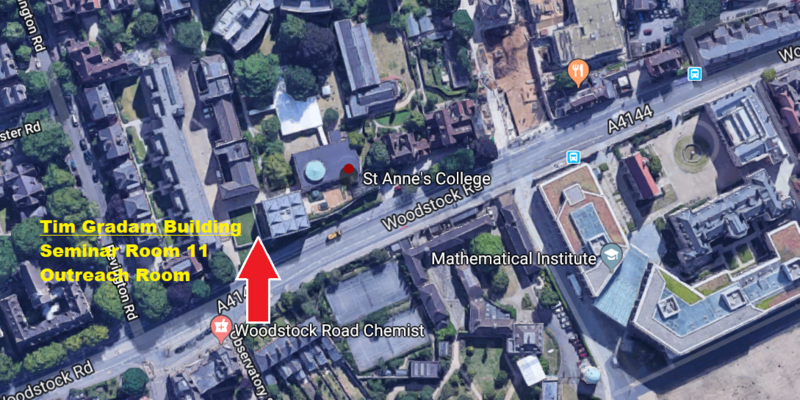 The conference will be held in Seminar Room 11 at St Anne’s College, 56 Woodstock Road, Oxford, OX2 6HS. Attendees are asked to organise their own accommodation. This meeting is generously supported by the European Research Council under the European Union's Seventh Framework Programme (FP7/2007-2013) / ERC grant agreement no. 335421. Please contact us for feedback and comments about this page. Last update on 28 November 2018 - 14:12.